It’s been a few months since I last wrote about the budding music career of my protégé, Pedro González Arbona. That last post, Lights, Camera, Action, Part 1 ~ Making Music in Spain, was about my music collaboration with Pedro while in Spain last summer. Part 2 of this series highlights Pedro’s experience at his first short film premiere, for Always Together, last December. It was in February 2013 when I got the fortuitous email from Pedro announcing that a famous Spanish film producer was interested in hiring him to compose for a movie. Although Pedro was not hired for that particular project, the producer was interested in his work. 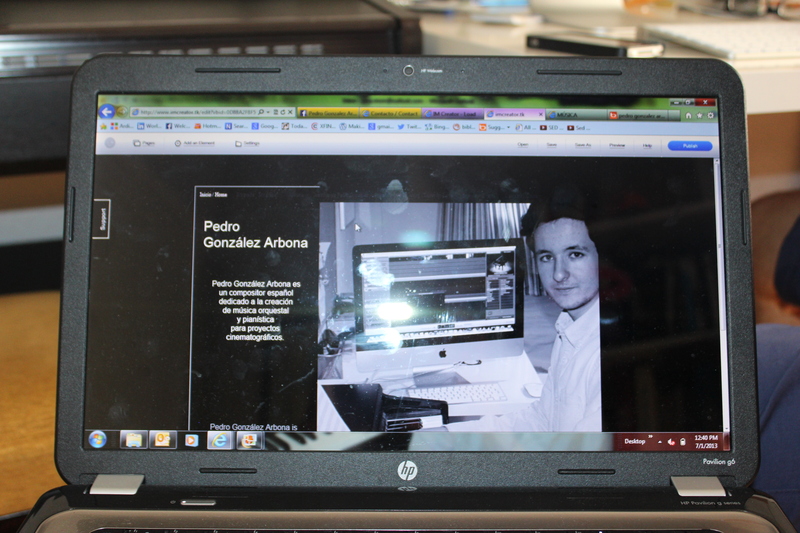 That first interview aligned Pedro with other contacts in the Spanish film industry and launched his film composing career. 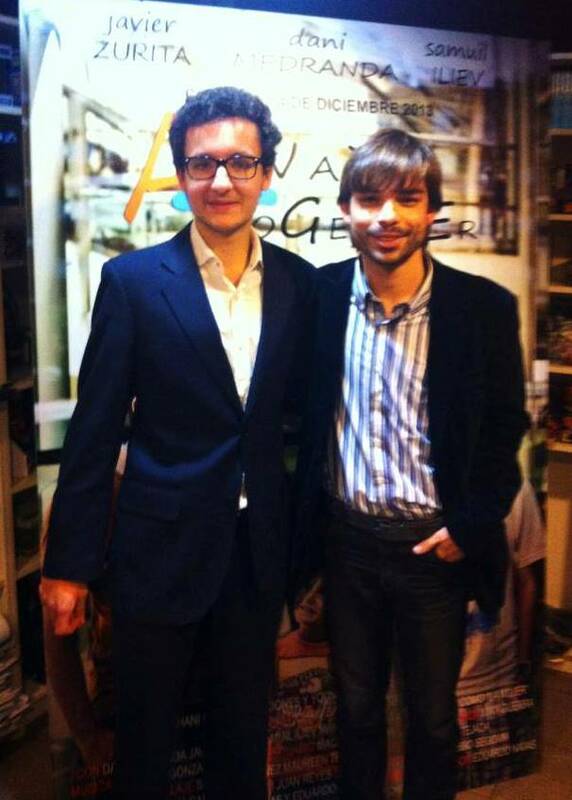 Pedro’s first short film, A Thirst for Love, premiered in Madrid while I was in Spain last summer. Unfortunately we were on holiday in Southern Spain at the time and couldn’t attend. So last December there was much anticipation and excitement for attending Pedro’s first movie premiere. Of course, I could not attend as I was back home in the States. That didn’t stop me from spreading the word though. 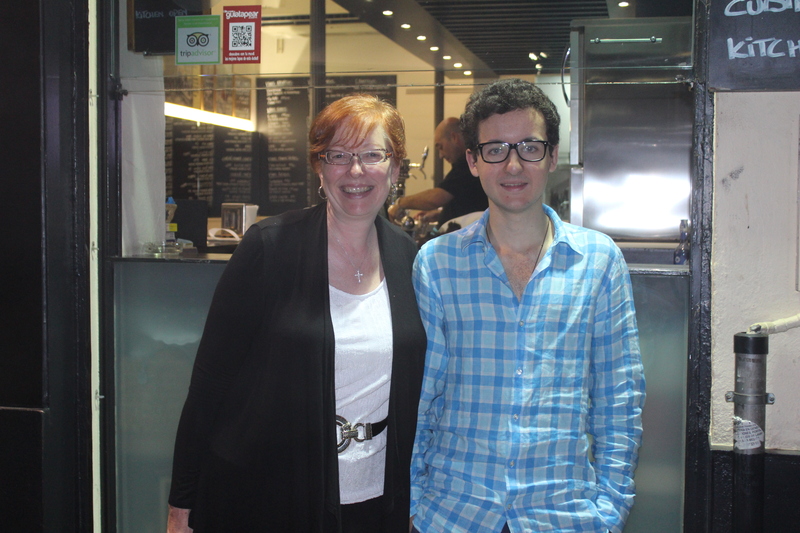 While I was living in Spain last summer, I met Pedro’s director and friend, Chani Bas. I continued my contact with Chani after leaving Spain, and in lieu of my own attendance at the premiere, asked him for invitations for some of my personal Spanish contacts. But there was one catch—it was to be a surprise for Pedro. I invited friends that I met at the Protestant church I attended one day in Madrid. 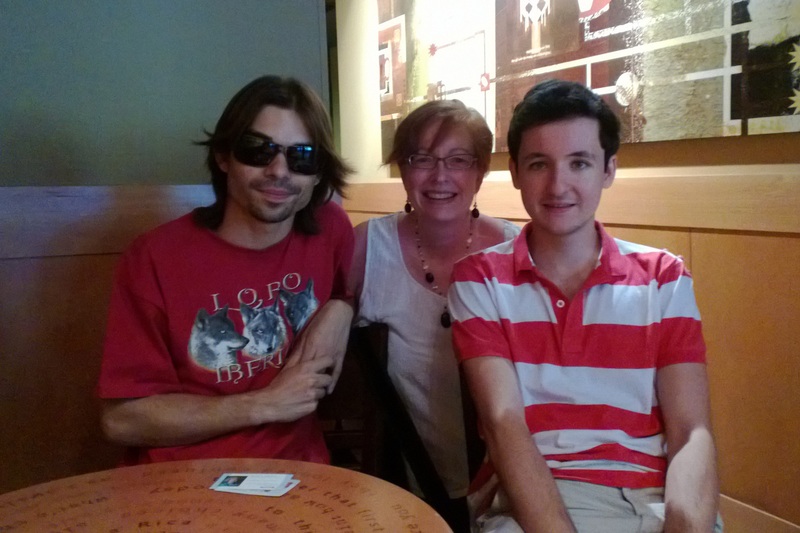 I also invited a few Spanish bloggers I met online since my return to the States. The bloggers couldn’t make it, but thankfully my Spanish friends could. 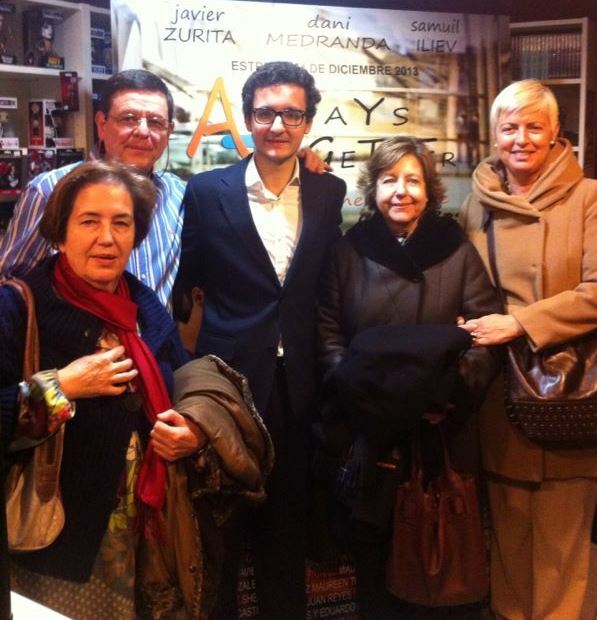 Pedro and his family at the Always Together premiere. Although I wasn’t at the premiere, I had a virtual front row seat as I heard about it firsthand from Pedro, through Whatsapp (international messaging) on the day of the event, Skype calls afterward with Chani and Pedro, and emails from my other friends. I so appreciate their including me in the event from 5,300 miles away. This allows me to share it with my friends, family, and readers as well. When I awoke on the morning of the premiere that Saturday in December, Pedro was just getting ready for the evening event at the Artistic Metropol Theater in Madrid. (Madrid is nine hours ahead of PST.) When Pedro and his family arrived, there was a long line of guests outside waiting to get in. Inside the excitement was building with a standing room only crowd of several hundred people. Chani Bas, director of Always Together, who is also a talented magician, performed a short magic act, with two other magicians to commence the event. Chani made some initial comments about the film and then invited Pedro to speak about the soundtrack composing process. The theater burst into applause for almost two minutes, in appreciation and validation of Pedro’s previous collaboration with Chani on Thirst for Love. Pedro was naturally nervous, so much so that he forgot his speech at home. Luckily he was able to quickly gather his thoughts while waiting to speak. Minutes after this photo was taken, Pedro takes the stage to address the audience. “I would like to thank Chani Bas for giving me the opportunity to work in this area that I love. He asked me to make this speech about how I make the music for his short films. We have a good relationship. After the end of Thirst for Love, Chani asked me to create the soundtrack for Always Together. Pedro with his director, Chani Bas. 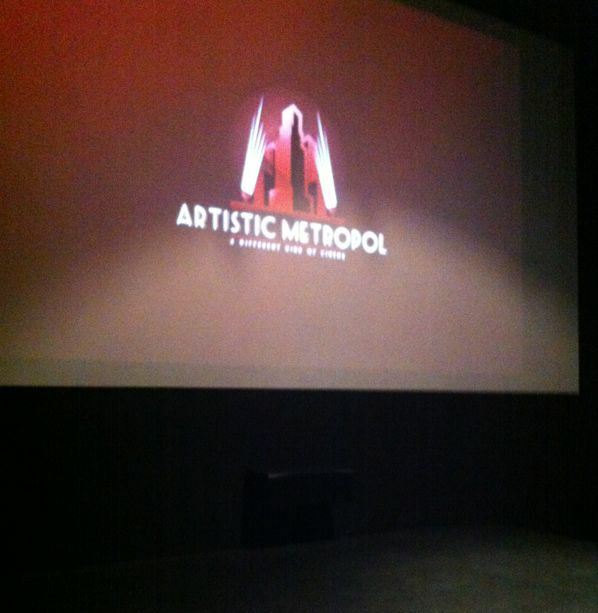 Chani returned to the stage and introduced the film. 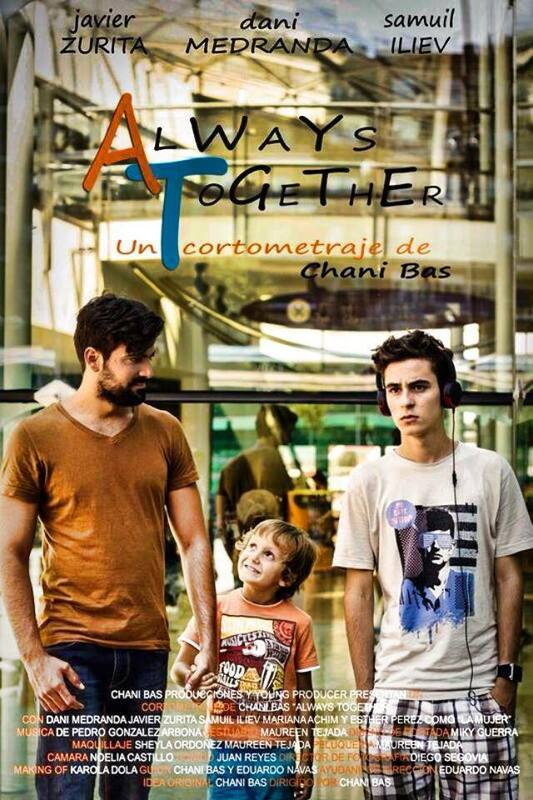 Always Together tells the story of a family separated by divorce, where Andres, a selfish teenager, doesn´t care about his young brother, Felipe. 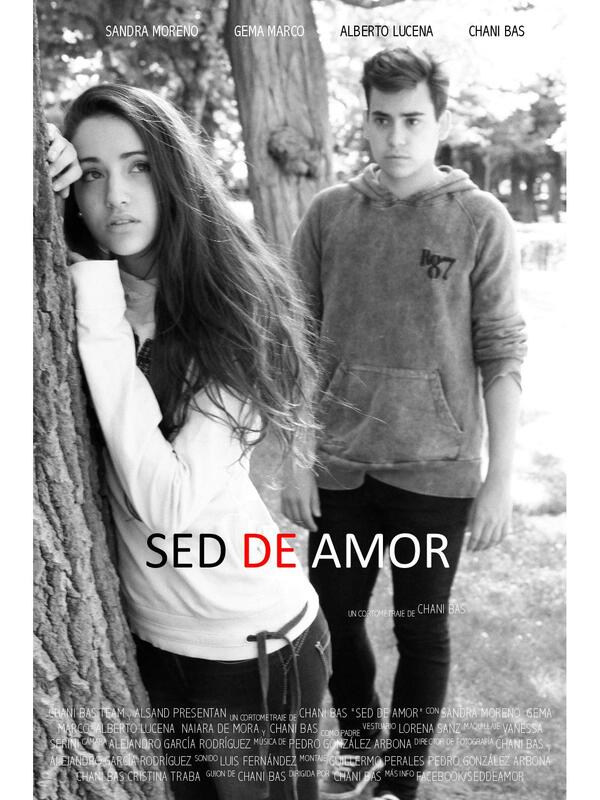 When Felipe disappears, Andres has to face the pain and uncertainty of his brother’s fate. After the film was over guests had an opportunity to meet and have photos taken with Chani, Pedro and the movie’s actors. Please take a few minutes to watch the short film, Always Together, below. Even though there are no English subtitles, the acting (and music) are so good that the language does not cause a barrier to understanding the message and meaning of the film. The film is now circulating through international film festivals. It has been nominated for Best Foreign Short Film in several countries. 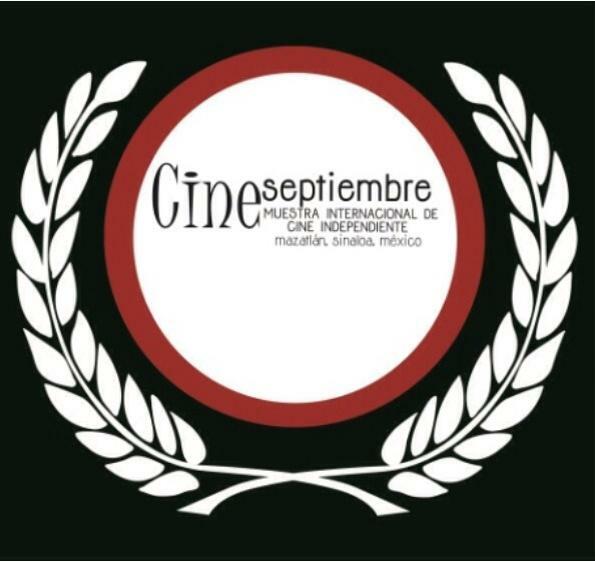 Best Foreign Short Film nomination in Mexico. In the months since the premiere of Always Together, Pedro has continued to expand his musical influence in the film industry. He will join Chani on his next short film project, I Dedicate my Dream. Pedro is hard at work on his first professional full-feature American film, Tempting Fate, the contract he signed last summer during my visit to Spain. It is an amazing soundtrack. The CD and movie will be released this summer. If this is your first time hearing about the music of Pedro González Arbona, check out his website at pgarbona.com or “The Music” page on my site for more information about how his music was discovered. 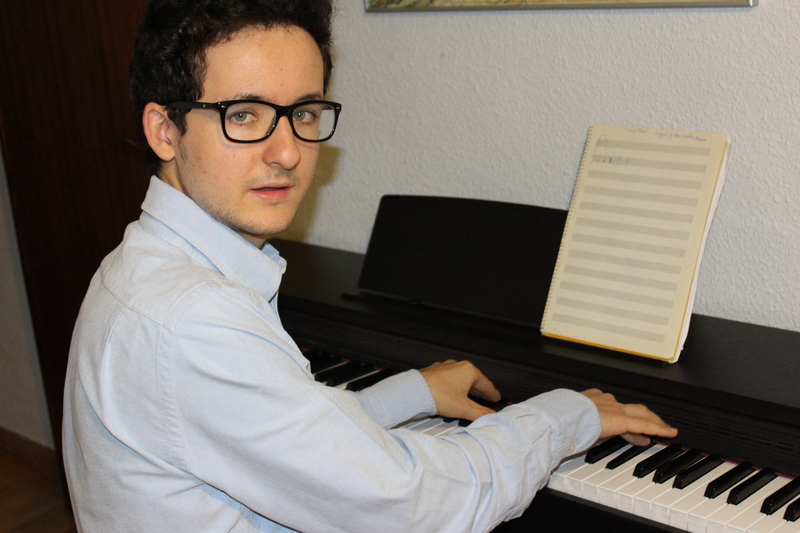 You can support his music career by liking his Facebook page, Pedro Gonzalez Arbona, Composer. Updated 5/26/2014: The Tempting Fate movie trailer was released on 3/28/2014. It already has nearly 18,000 views. There is also a Tempting Fate Facebook page you can like for updates. Below is the trailer with Pedro’s soundtrack music. 38 days until it hits the big screen! This post is listed on Christian Mommy Blogger/Fellowship Fridays.